Gretton Valley is set within the 1,200 acres of Northamptonshire parkland which is Priors Hall Park. Just two miles outside Corby, it is part of an exciting new community providing housing for first time buyers, growing families and those looking forward to downsizing for the next chapter of their lives. It offers all the benefits of a modern lifestyle rubbing alongside the traditional values of village life. Gretton Valley is set within forty acres of wonderful open spaces with cycle paths, walking routes and recreational areas. For the young at heart there will be a number of play areas, woodlands and babbling brooks to discover and explore. For families, there is a nursery, primary school and secondary school all within a one-mile radius, so the school run need never be a chore again! Alongside the facilities planned for Priors Hall Park, the nearby villages of Weldon and Gretton offer a number of amenities including pubs, well-used and good sized village shops and places of worship. Corby itself is just a short trip away offering shopping, nightlife and a theatre that has a regularly-changing programme of live drama, dance, music, stand-up comedy and film. As Corby is a relatively newly-developed town, the main roads and railways into and around the area are outstanding, giving good access to nearby towns as well as to London, Luton and Bedford. There are good transport links to the nearby city of Peterborough and the towns of Market Harborough and Kettering. 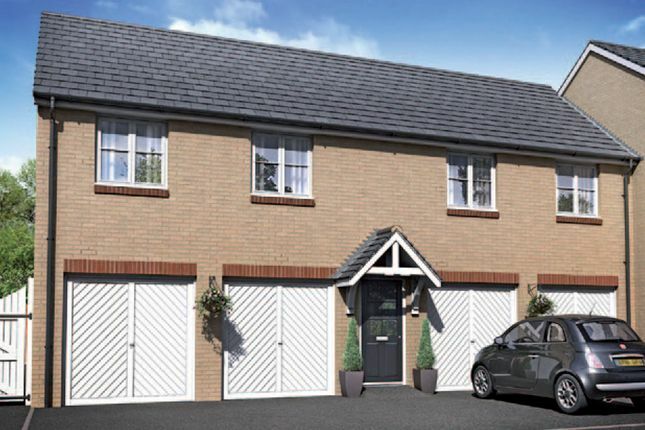 Property descriptions and related information displayed on this page, with the exclusion of Running Costs data, are marketing materials provided by Larkfleet Homes - Gretton Valley, and do not constitute property particulars. Please contact Larkfleet Homes - Gretton Valley for full details and further information. The Running Costs data displayed on this page are provided by SmartNewHomes to give an indication of potential running costs based on various data sources. SmartNewHomes does not warrant or accept any responsibility for the accuracy or completeness of the property descriptions, related information or Running Costs data provided here.